James Roose-Evans’ list of accomplishments is formidable. Fifty years ago, he founded the Hampstead Theatre. He has written seventeen books, including the best-selling “Inner Journey: Outer Journey” and “Experimental Theatre”, and has directed countless plays, including the award-winning adaptation of “84 Charing Cross Road”. He is a non-stipendiary Anglican priest, founded the Bleddfa Centre for the Creative Spirit and continues to lead meditation, ritual and theatre master-classes today. His recollections, gathered together here, reveal an array of celebrated actors and writers who were both mentors and friends, including Martha Graham, Sir John Gielgud, Robert Frost and Tennessee Williams. Beyond the anecdotes lies a memoir which weaves together the strands of a rich, multifaceted, dynamic personality, from an anguished and extraordinary childhood to a fulfilled older age. 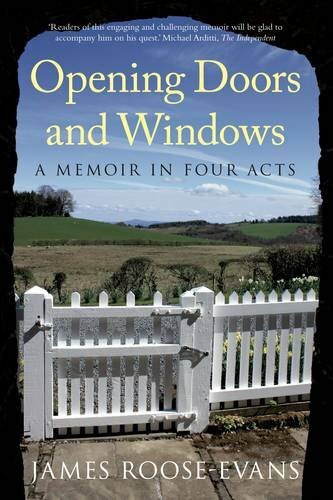 “Opening Doors and Windows” is a fresh and absorbing story of a continuous search for answers, a constantly colourful, entertaining and moving account of a many-sided life and what the author stands for. It will captivate and interest readers from all walks of life; and, above all, it will inspire them. When called to identify his religion, Roose-Evans writes “Seeker”. 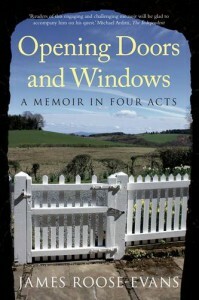 Readers of this engaging and challenging memoir will be glad to accompany him on his quest.